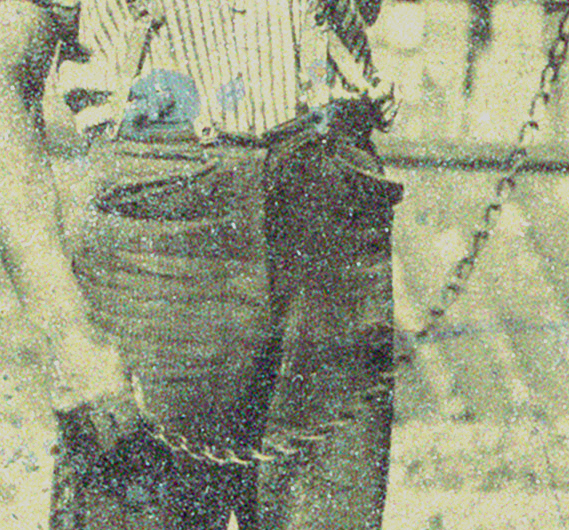 A mystery image–a slave at Chatham? We are constantly amazed at the steady stream of images and source material that come to us. 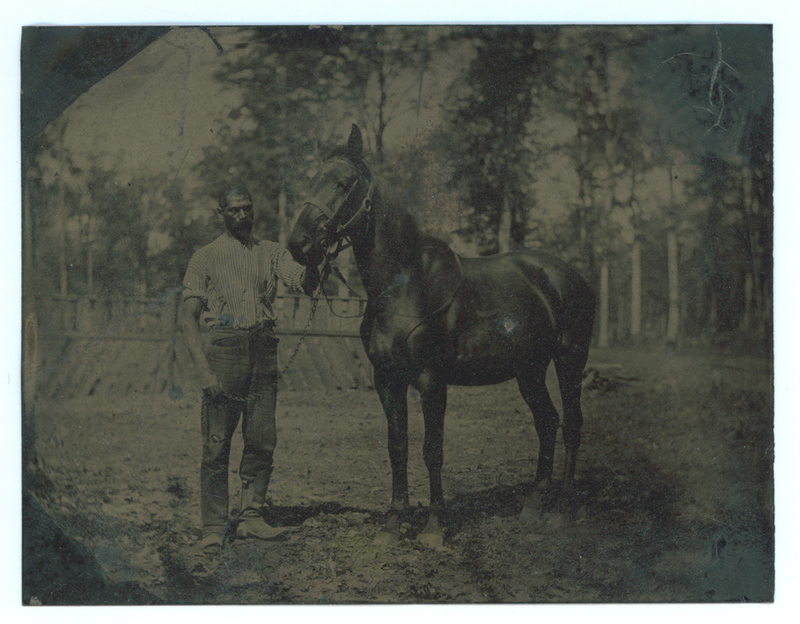 The image above is a tintype, shown to us recently by local antique maven Bill Beck. According to Bill, this image has been in the community some time, and its traditional label suggests that it is an image of a slave at Chatham. To our knowledge, this is the first time the image has been seen publicly. 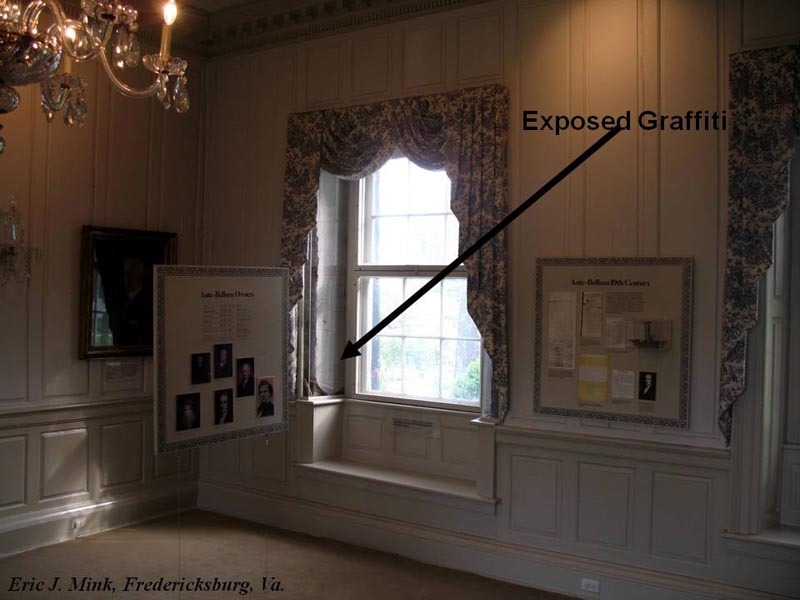 If this is indeed a slave at Chatham, it would constitute a major discovery–there are precious few images of slaves in slavery anywhere in Virginia, much less in the Fredericksburg region. With Bill’s permission, Noel Harrison generated at high-resolution scan of the image, which, as you can see, in its original form is quite dark. We have modified it here for easier viewing. There is nothing in the image itself that either supports or denies the setting at Chatham. But we do think there are clues in the man’s dress and the tack on the horse. But, we are not material culture sorts, and so we throw the image out to people who know far more about boots, tack, and dress than we do. Are the man’s boots postwar? 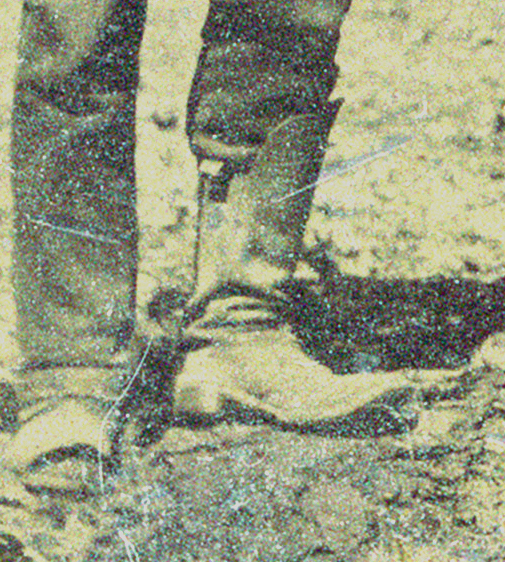 From what I can discover, these sorts of “cowboy boots” didn’t hit the market until the 1870s. What of the chain lead on the horse? When did these come into common use? And the pants–are the pockets here a bit more stylish than those that would typically be worn by a slave? 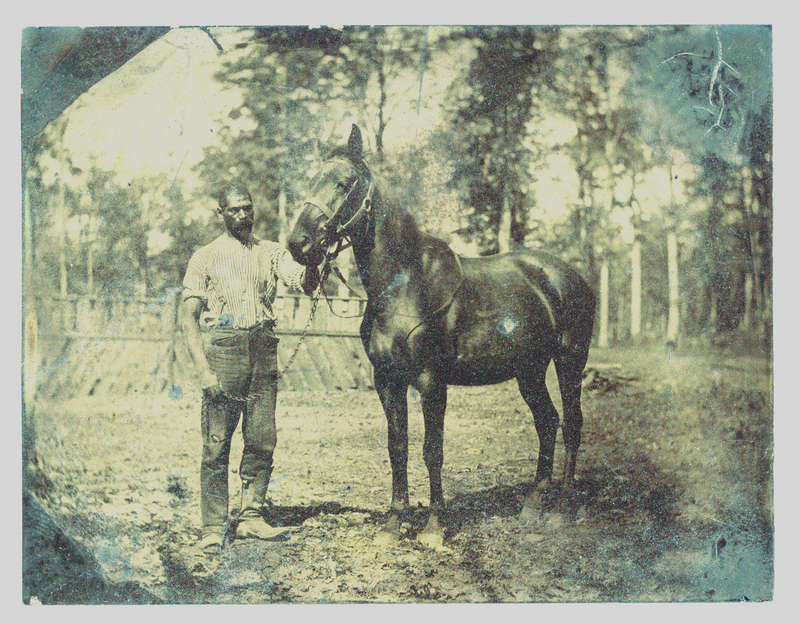 We ask these as honest questions, with hope that some of you can help narrow down the date of the photograph and help resolve the question: is this a slave at Chatham? 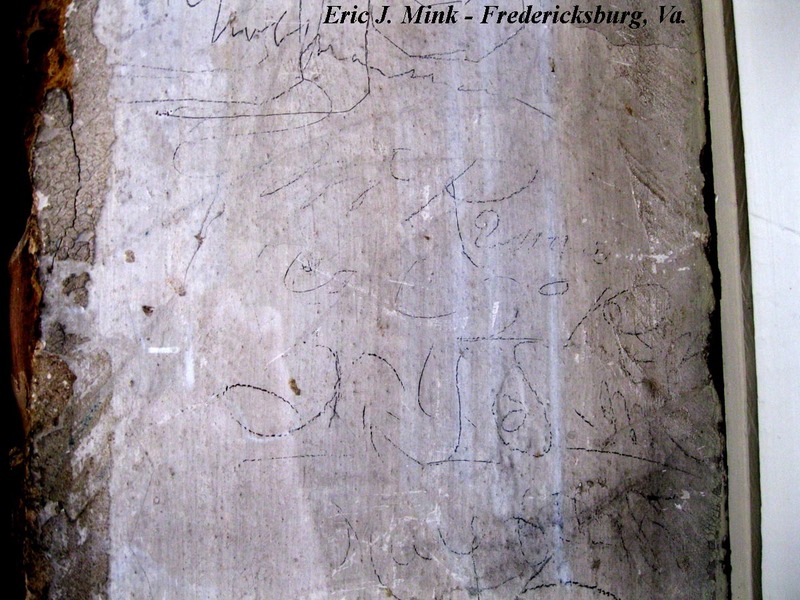 For other posts on Civil War soldier graffiti left in the Fredericksburg area, check out these links here. Over time, we become familiar with our surroundings. Often this familiarity is to the extent that we don’t even notice our surroundings. For forty years, park staff have worked inside Chatham, the 18th century plantation house that serves as the headquarters for the National Park Service in the Fredericksburg area. A few rooms are open to the public on the first floor. One of these, the dining room, utlizies exposed plaster around a window as an exhibit. Civil War soldier have scrawled their names and regiments across the plaster. A good amount of the graffiti is too faint to read or the handwriting is too difficult to decipher. Although exposed for forty years with thousands of eyes gazing upon it, we were able to decipher yet another name last week written upon the wall. Perhaps the sunlight hit it just right in the later afternoon, but the regimental designation popped right out. It took a couple of us to figure out the signature. 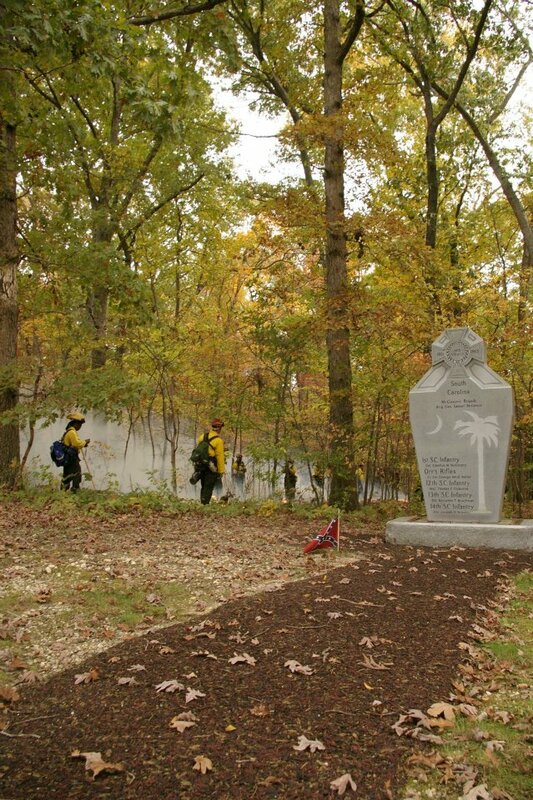 This Thursday night, October 6, we’ll be presenting one of the more unusual and interesting of the programs we’ll be doing during the 150th: Hollywood in Blue and Gray: The Civil War in Film. Peter Carmichael of Gettysburg College and Brian Luskey of West Virginia University will show and discuss clips from some of the more popular Civil War films (including Shenandoah and Glory) and look at how they both reflected and shaped popular perceptions of the war. It promises to be a fun, engaging, and provocative evening, involving two of the very best scholars in the field. 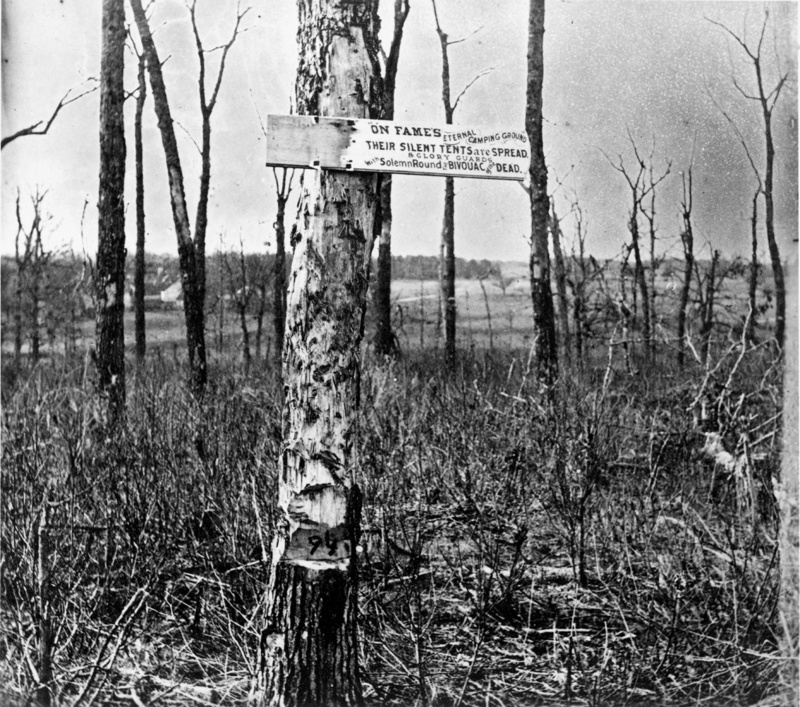 Pete Carmichael, by the way, started his career at Fredericksburg and Spotsylvania NMP, before he descended into Academia. We can attest, however, that the experience hasn’t ruined him. The program is free. It will be held at the main branch of the Central Rappahannock Regional Library at 1201 Caroline Street. It begins at 7 p.m. Call (540) 372-1144, ext 232 to reserve a seat.